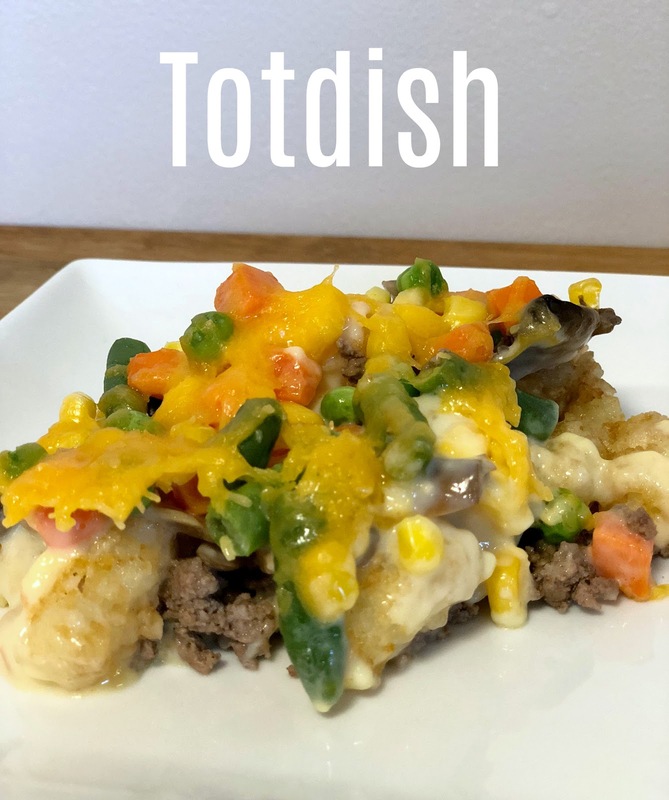 Tater Tot Casserole, Tater Tot Hotdish to those in the Midwest, or more simply, my toddler's favorite food that we have lovingly nicknamed, Totdish. My mother-in-law made this for Conor when she was babysitting one afternoon and he loved it. No really, he LOVED it. A lot of parents will hear me when I say it is HARD to find something that a two year old will actually eat consistently, and not only did he eat this for grandma, but he ate all of the leftovers too. He ate every last bite and...are you sitting down? Every. Last. Vegetable. Um, recipe please? 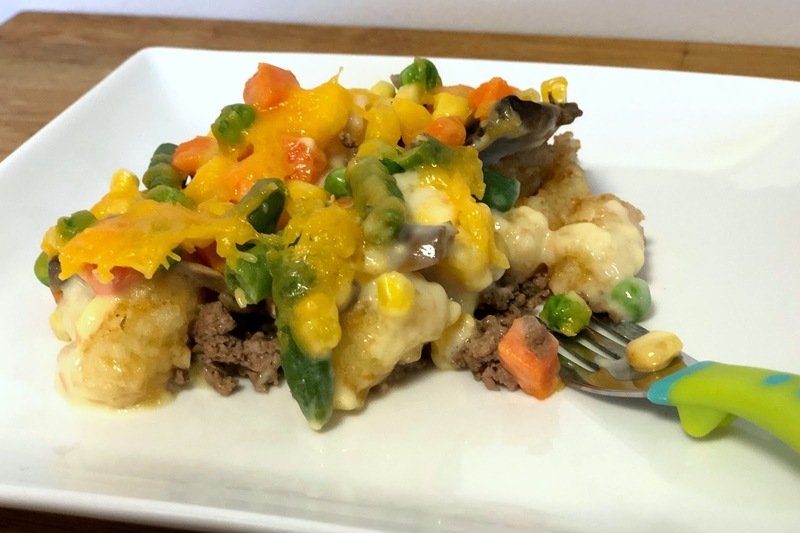 The icing on the cake, or tots on the casserole, is that the recipe could not be easier to make and we usually always have the ingredients on hand. As my GG would say, "We're having hotdish and you're going to like it!" optional: top with shredded cheddar cheese (add with 10 minutes baking time remaining and finish bake with cheese on top to melt), you can also add my tot's favorite right before serving, ketchup! 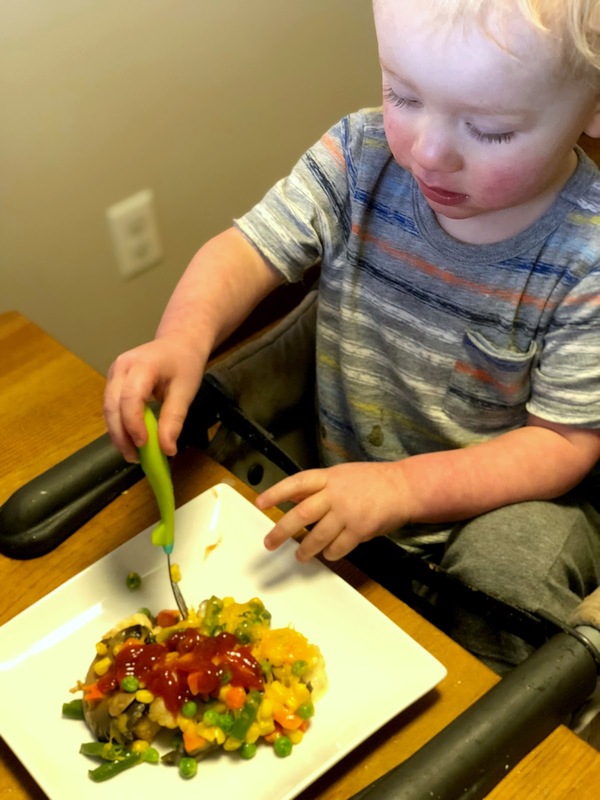 What is your toddler's favorite meal? I'd love to add more recipes to our routine.